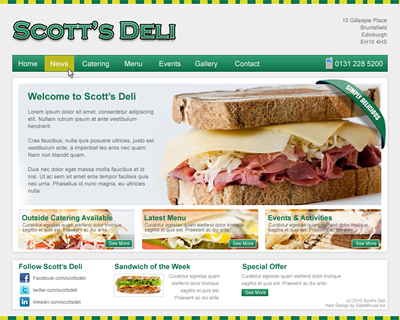 That was the message that Scott’s deli wanted to convey to their web site visitors. 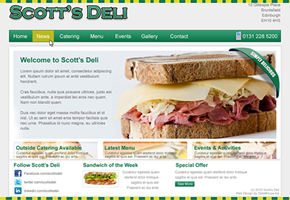 After designing three layouts, this final design was delivered in valid HTML and CSS, with a custom jQuery image slider to showcase the best sandwiches and wraps in Edinburgh. The site also boasts social media links, so customers can keep up to date with the latest news on Twitter and Facebook.